High Leptin levels lead to weight loss resistance, a ravenous appetite and constant weight gain (yes it can make weight loss almost impossible). The good news is that you can influence leptin levels through your diet (and other ways that we will discuss later). One of the big problems with Leptin Resistance is that most Doctors aren't even looking for it. That puts you at a big disadvantage because not only aren't there very many treatments for leptin resistance, most cases are also missed. ​What I want to talk about today is what YOU can do about your leptin levels. Is Leptin Resistance Destroying your Metabolism? Before we talk about the treatment of Leptin Resistance we really need to talk about the diagnosis. Because most patients aren't even aware of the hormone leptin we need to talk about some basics. First leptin is a hormone that is secreted from your fat cells. It's supposed to tell your brain when your body has enough extra calories in the form of fat cells and to signal to the brain to start burning that fat for energy. Basically, it's a regulator of your metabolism in a way, by helping the brain figure out how many calories to burn. That's the good part, and that's the way it's SUPPOSED to work. Now in most individuals, this process is completely opposite, and the pathology works similar to insulin resistance. Instead of telling your brain that you have plenty of fat cells and to burn more calories, your brain misses the message and sends signals to your body to eat more food, slow down the metabolism and pack on extra weight. So you gain more and more weight (in the form of fat cells) no matter what you do. ​As I mentioned previously one of the biggest issues with Leptin Resistance is that most Doctors aren't looking for it. This is due to a variety of reasons (including the fact that there really isn't any great pharmaceutical treatments) but there are several ways that you can address and lower your levels. You will most likely have to ASK for the serum leptin test and the burden of diagnosing the problem may rely on you. But don't worry, it turns out diagnosing it isn't that hard (the treatment is the hard part). 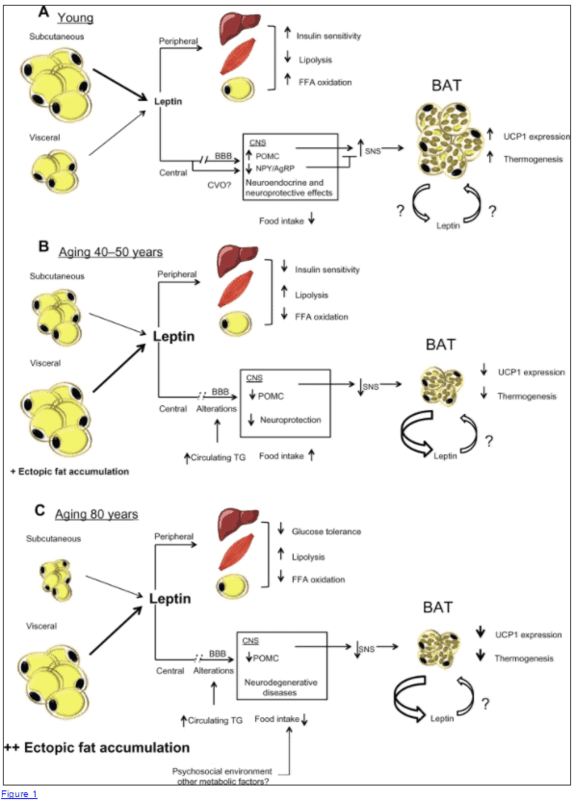 So how do you diagnosis leptin resistance? The single best way is to test your fasting serum leptin level (example below). ​You can see from the example above this patients serum leptin is 48.2 (while fasting). 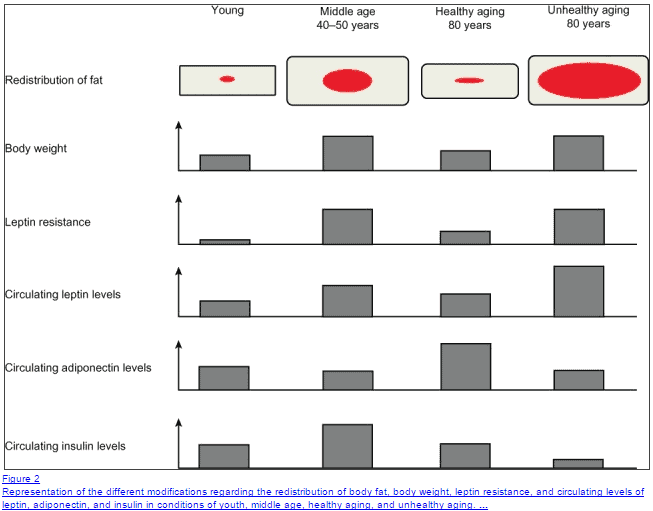 The range of normal leptin levels is < 10-12. This particular patient presented with weight loss resistance, hypothyroidism, and multiple hormone imbalances. You can read about her particular treatment her﻿e (including how I lowered her leptin levels). ​Whenever you order serum leptin I also recommend that you order thyroid studies as well as both fasting insulin levels and the hgb A1c. Because I've yet to see a situation where a patient ONLY had leptin resistance and didn't also present with these other problems as well. The links provided above will help you to order the correct tests for diagnosing both of these conditions. If you fall into this position you are probably wondering what you can do about it. ​You can consider high leptin levels as a constant signal to your body to constantly grow. That means EVERYTHING in your body is in a state of growth (the exact opposite of what you want to happen if you want to lose weight). And yes this includes both fat cells (1) and can﻿﻿﻿cer cells (2) (yet another reason to treat leptin resistance). That means your priority should be on lowering these leptin levels to reduce or eliminate that signal of growth. Only then will your body enter into a state where it can actually burn energy, burn fat, and fix your metabolism. By the way, a similar signal is sent to your body when insulin levels are high. The only difference is that insulin resistance is a signal sent when glucose is plenty in your body and leptin is a signal sent to when fat is plenty. We can take it one step further and talk about high protein levels which are expressed by high levels of mTOR but we will discuss this later. ​One of the most effective ways to help reduce leptin levels (and prevent this process as noted above) is to manage your leptin levels through diet. ​There are some guidelines that exist currently but I've taken it one step further to help you understand more about WHY certain guidelines are necessary and how they impact one another. Also, realize that in very few of you changing your diet will actually be sufficient to completely lower your leptin levels. 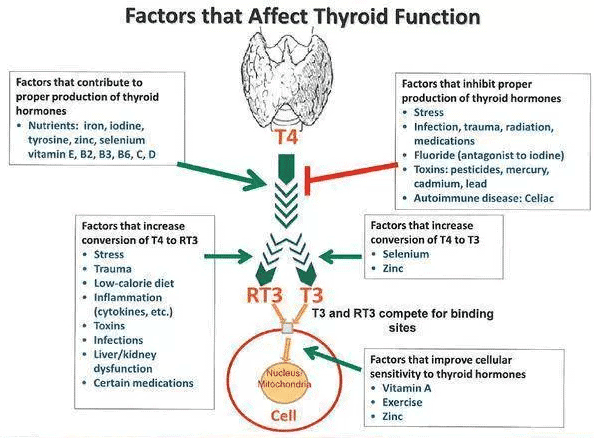 In my experience, it usually takes a combination of diet + medications + treatment of insulin resistance + treatment of thyroid resistance to get meaningful results. Think of the food you eat as information for your body. Food sends signals to your body and impacts your hormone levels. You want to send the right signals to your body to help lower your leptin levels and you can do that in a very specific way. You need to remember that each macromolecule sends a signal to your body and you can influence these signals by eating more or less of a certain type of food. Carbohydrates increase insulin levels and send the signal of growth. Protein increases mTOR which also sends the signal of growth. But eating fat does NOT send a growth signal to the body. We can use this to our advantage. Most patients are aware that lowering carbs is necessary to lower both insulin and leptin but they forget that protein has an input. This leads them to consuming a low carb, high protein diet which is counterproductive. Instead, they should be focusing on a high fat, low protein, and low carbohydrate diet. This way you will NOT be sending the growth signal to your cells. Basically, I recommend patients focus on a 60/20/20 ratio to start and then make changes from here as necessary. That means 60% of your total calories should come from high-quality fat sources. 20% of your calories should come from high-quality (no refined sugar or pop tarts!) carbohydrate sources. And 20% should come from high-quality organic sources of protein. This will ​allow you to lower leptin, insulin and mTOR levels. Generally, I recommend that your source of protein should be adequate to maintain muscle mass (which can be measured through impedance analysis). You should also eat enough carbohydrate to both keep insulin levels low and maintain energy levels. As long as you follow the guidelines above you will notice several beneficial things happening. First: as you consume higher quality fats you will notice that your body naturally calorie restricts itself. Second: your appetite will most likely decrease and you will notice the number of calories your body wants to consume. It's very important that during this process you don't overeat or under eat. ​It sounds obvious but many people tend to mess this part up as well. It's been smashed into your head that calorie restriction is necessary for weight loss, so the default will be to cut those calories for weight loss. On the other hand, if you know enough about metabolism and how it gets damaged then you are probably scared to eat too few calories because you know the impact that has on your body and metabolism. Eat when you are hungry and stop eating when you are full and don't pay attention to calories. As long as your body isn't going hungry then you are eating enough food. None of these rules will help lower your leptin levels if you don't consume the RIGHT kind of food. If you ​follow all the rules above but eat pop tarts and bread for your 20% of carbohydrates then you will be doing more harm than good. Remember that not all calories are created equal which means that 20 grams of carbs from pop-tarts are not equal to 20 grams of carbohydrates from blueberries. So make sure that you are consuming high-quality foods that are organic, grass fed, and free range. It's especially important if you have leptin resistance to avoid foods high in fructose. That means NO processed foods, NO added sugar and NO sources of grains. Get your carbs from fruits and vegetables (even the occasional starchy food is fine). Another huge mistake I see people make all the time is eating lots of small meals in hopes that it will "increase" metabolism. Instead what you are doing is increasing the time your body spends processing calories and increasing the time your cells spend processing insulin levels. Remember that insulin is a growth hormone and not the hormone you want floating around in your blood if you are hoping to lose weight. As you can see with frequent meals your body will spend more time processing the food which means higher insulin levels which means insulin resistance. Your body will spend more time without insulin in the bloodstream and will, therefore, sensitize your cells to insulin. ​So consider practicing the art of intermittent fasting. ​While diet is very important for managing leptin levels it's certainly not the only treatment that will be required to lower your leptin levels. In fact, I have yet to see a patient significantly lower their leptin levels without the addition of other therapies. Because the same process that causes leptin resistance also tends to cause both thyroid and insulin problems. That means in order to get your leptin under control you really need to make sure you are also focusing on these other hormone imbalances. In anyone with leptin resistance I am a big fan of using T3 only medications or at the very least NDT preparations that include T3. T3 helps sensitize the body to insulin (3), helps boost the metabolism and cuts your body out of the T4 to T3 conversion process. ​What do I mean by that? Well, we already know that high leptin levels increase conversion to T4 to Reverse T3 (you probably know this is a bad thing, if not please read this article). ​The more reverse T3 you have in your system the slower your metabolism will be and the harder it will be to lose weight. ​T4 either turns into reverse T3 (which we don't want) or free T3 (which we do want). The substrate for conversion is T4. Now, what you may not know is that NDT is still mostly T4 hormone. That means ​if you are taking NDT you can still produce high levels of Reverse T3 in the presence of leptin resistance. The best way to get around this process is to provide the body with T3 only. 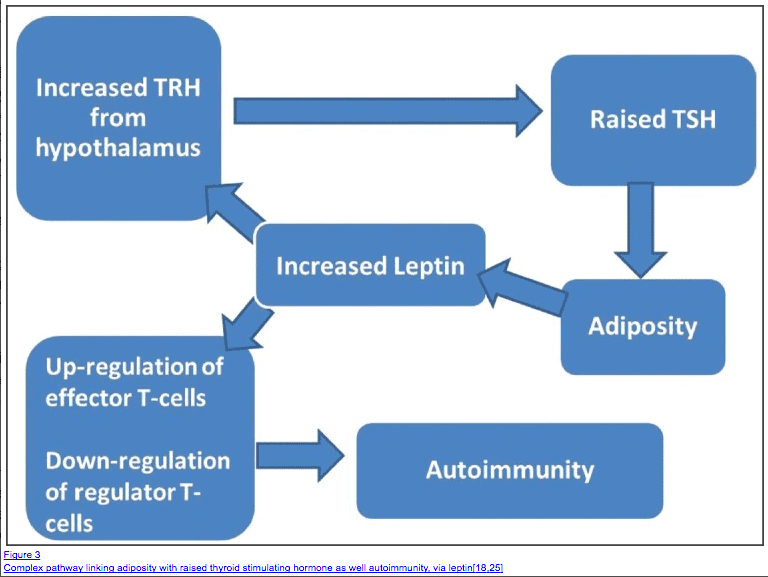 By providing it with T3 only there is no option for Reverse T3 production and therefore reverse T3 levels will fall as leptin levels fall. ​In my experience patients with leptin resistance tend to recover more quickly on T3 only medication vs NDT. ​Certain medications are very potent at reducing serum leptin levels and helping patients with weight loss resistance lose weight. 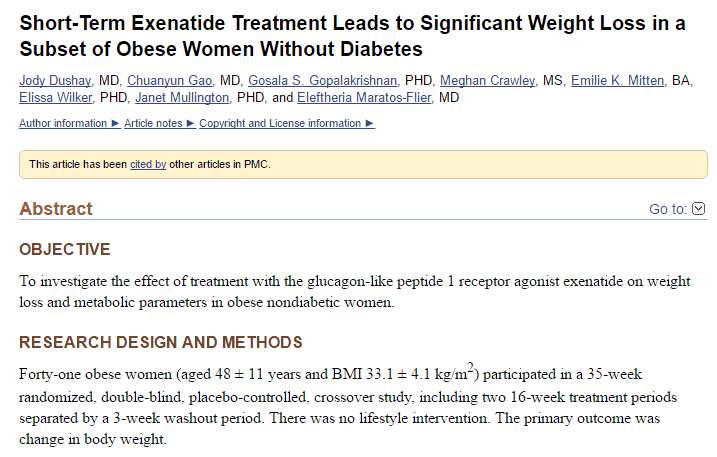 Studies have shown (4) that certain non-diabetic patients respond with a significant amount of weight loss when using GLP-1 agonists. ​What's interesting is that certain patients respond very well to these medications, but not all patients do. One of the factors that determine if you are going to respond with weight loss to this class of medication appears to be serum leptin levels. Patients with very high leptin levels tend to respond better and with more weight loss than patients with normal leptin levels trying to lose weight. This explains why certain patients respond VERY well and others have no benefit from this class of medication. This medication isn't for every patient with weight loss resistance but it can be VERY effective for a certain subgroup of patients who have both weight loss resistance and leptin resistance. Newer studies have also shed light on conditions that tend to accompany leptin resistance such as hypothalamic obesity disorder. Various medications used to treat this condition can also be helpful in treating leptin resistance. ​Intermittent fasting tends to be ignored as a form of treatment but really it is a form of dietary intervention for leptin resistance. The art of NOT eating is just as important as learning both WHEN to eat and HOW MUCH to eat. The crazy thing is most people focus only on WHAT they are eating, they very rarely focus on the other aspects of diet. In this case, intermittent fasting can be a very effective way to reduce insulin levels and help both reverse leptin resistance and lead to weight loss. You can see in the data above that low carb diets (5) are not sufficient to adequately lower glucose levels by themselves. 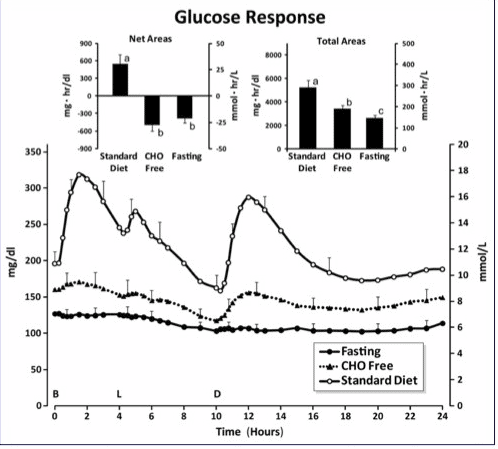 It's only with the addition of intermittent fasting that glucose levels drop to the point that hormone-sensitive lipase (6) can be activated leading to significant weight loss. ​So remember that just cutting your carbs generally won't be enough to treat your leptin resistance, especially if you consume a high protein diet. Lastly, there are several new (and emerging) supplements that can actually help leptin resistance. As you know, treating leptin resistance can be very difficult and requires therapies that aren't well documented. Because it can be difficult to get your doctor to prescribe these medications, supplements should be a very important part of treatment. Fish oil: In order to get this benefit you must use doses as high as 4 grams per day (that's a lot of fish oil!). You should also use this supplement for at least 6 months. You can learn more about using fish oil for weight loss here. Alpha lipoic acid: Doses up to 2,400mg per day x3-4 months can be effective at lowering both insulin and leptin levels. You can learn how to use alpha lipoic acid for weight loss here. L-Glutamine: This supplement acts on the GLP-1 receptor and can mimic the activity of the GLP-1 agonist medications listed above. To get this benefit you will need to use 2-5 grams per day. Myoinositol: The most common isoform of inositol can help reduce both insulin and leptin and actually help with weight loss. Use 1,500mg per day (2 capsules). To experience the most benefit you will need to take at least 2 of the following supplements at the dosages listed above. Leptin resistance can be treated with diet and there are some special interventions that should be taken if you have Leptin Resistance. It's also important to remember that generally, diet alone will be insufficient in significantly lower your leptin levels leading to significant weight loss. That's why I recommend a comprehensive approach that includes not only dietary recommendations and interventions but also hormone management and medication management. It's also to remember that when it comes to leptin resistance you need to focus on WHAT you eat, HOW MUCH you eat and you need to know when NOT to eat. Practicing these tips will go a long way to helping you with weight loss and feeling better. Also, it's very difficult to treat leptin resistance on your own - if you have very high levels I recommend seeking out care with a knowledgable practitioner to help guide you through the process. Otherwise, you may end up frustrated and defeated. Has diet helped lower your leptin levels?